Kathleen came to us with a vision from head to toe! We started with the inspiration of Meryl Streep’s wedding dress in “Out of Africa,” but made it suit Kathleen’s style! 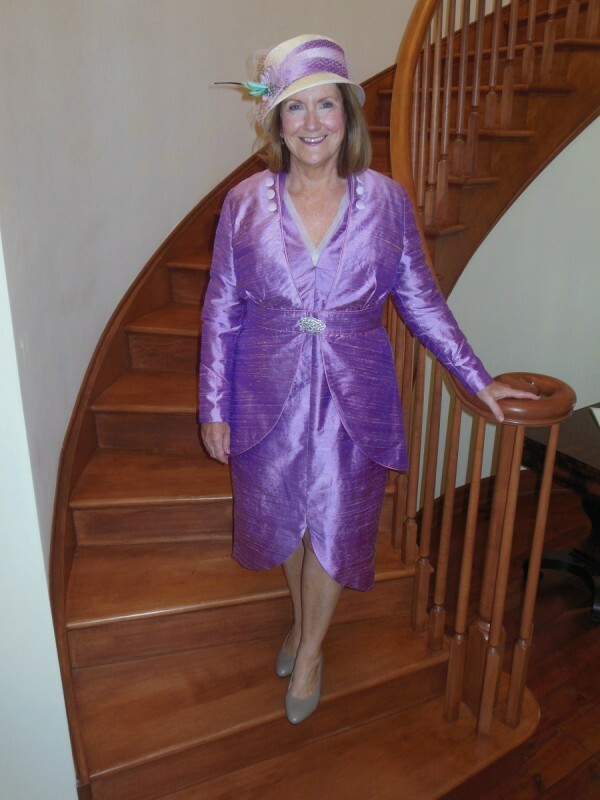 Made of lilac silk shantung with pink piping, we created a dress and jacket ensemble. She had the hat custom made to top it all off by our talented friend Julie of Savage Millinery ! A perfect fit ! Congrats to Kathleen and her family!